A common misconception about the insurance plan is that students cannot go anywhere but Health Services for medical treatment. Collegian file photo. Each summer and into the fall, students find emails in their inbox about the Butler-purchased insurance plan, which the university buys from UnitedHealthcare each year. Enrollment into the plan is automatic, and all but about 350 to 400 students choose to opt out of the plan before the August deadline rolls around. However, for many otherwise uninsured students and international students, waiving the insurance plan is not an option. One common student misconception about the insurance plan is that students cannot go anywhere outside Butler University Health Services for medical treatment. While Butler University Health Services are free to students enrolled in the Butler-purchased insurance plan, those students have various options that may be covered depending on the circumstances and where they choose to seek medical care. 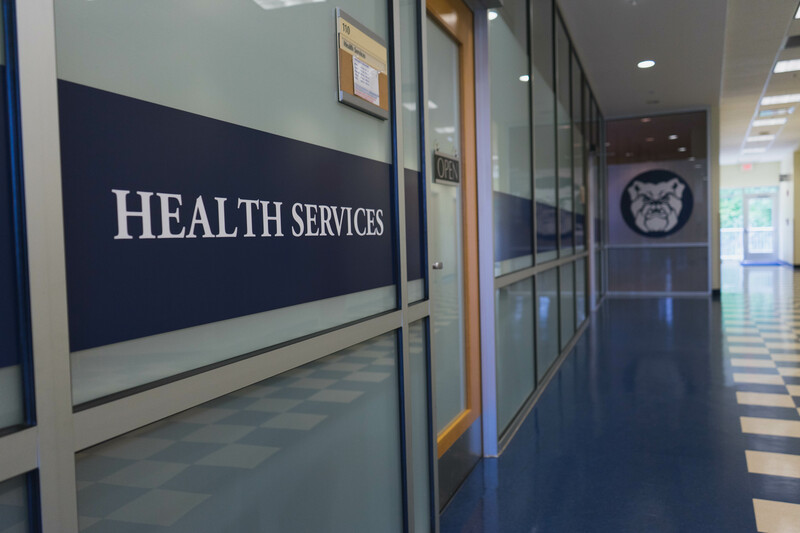 Butler’s UnitedHealthcare insurance plan stipulates that students must first go to Health Services for treatment, but that students can be referred outside Health Services if necessary. The plan states that expenses for medical treatment that are not approved or referred by Health Services before they are obtained are excluded from coverage. There are exceptions to this rule. This includes medical emergencies, when Health Services is closed, when students are on break or at least 50 miles away from campus, and after a student changes enrollment status at Butler. If students need to go outside Health Services for treatment, Julie Howerton, director of health services, said they must call the Health Services’ main phone number to explain where they went and why they chose that location. There is no guarantee services will be covered and students will have to pay at least a $25 copayment for appointments. There is an $80 copayment for emergency medical services, but those are waived if the student is admitted to the hospital. Howerton said students need to know their options before making any decisions about healthcare. She said automatic enrollment into the plan is not to make money, but to protect family’s investments in education. Howerton said mandatory insurance has been in place since before she started working at Butler in 2011. She explained that the plan, which is provided through UnitedHealthcare, is specifically tailored to university students because it is a college-based plan. Butler agrees to the terms and policies in the plan but has no role in writing it or determining how medical care is covered. Each year Butler and other universities purchase specified plans from insurance providers and make those plans available for students to purchase. Howerton said another common problem students have is when they opt out of the university-purchased insurance without understanding what their own insurance does and does not cover. She said the popularity of Health Maintenance Organization plans are increasing, which can cause problems for out-of-state students. There are two common types of insurance plans: HMOs and Preferred Provider Organization plans, also known as PPOs. HMO plans give people access to certain medical networks and typically require the insured to choose a primary care provider. Most HMOs require referrals to be made by the insured person’s primary care provider and will only cover in-network medical providers, leaving people who go outside the network with the full cost. PPO insurance plans give people insured under those plans more liberty to choose their own providers and do not often require the insured to select a primary care provider. Their benefits are usually better if they stay in-network, but PPOs will often cover out-of-network providers. HMOs usually have lower premiums and no deductibles, making them the cheaper option. Howerton said she has seen more students with HMO plans in recent years. She said it is likely out-of-state HMOs will not pay for services at Butler or in Indianapolis except in some cases for emergency rooms. When Indianapolis-based providers are out-of-network, it costs more out of students’ pockets. Students not on the university-purchased plan who do not know what their insurance covers may be surprised by large bills and no coverage of out-of-network services. Howerton said the best way for students to learn about their insurance plans is to look at the plans and talk to their parents about which services and providers are covered and which ones are not. Kimberley Dickerson, medical billing specialist at Health Services, recommended that students copy of their insurance card with them. Students on the university-purchased plan are not mailed a copy of their insurance card, but can go to UnitedHealthcare’s website to create an account and print their insurance card from the website at any time. Dickerson and Howerton said they are always happy to talk or meet with students to explain their insurance and help them understand the details of their plans. Usman Gil Ivern is a sophomore art and design major who has the university-purchased insurance. While he has used his insurance plan to get vaccinations, he has not tried to use medical services outside of Butler’s Health Services. Students will be able to waive the university-purchased insurance plan at the beginning of June. They will have until the first week of August to submit proof of comparable insurance to opt-out of the UnitedHealthcare plan. A full copy of the UnitedHealthcare Student Injury and Sickness Insurance Plan along with a summary brochure can be found on Butler’s Health Services website.